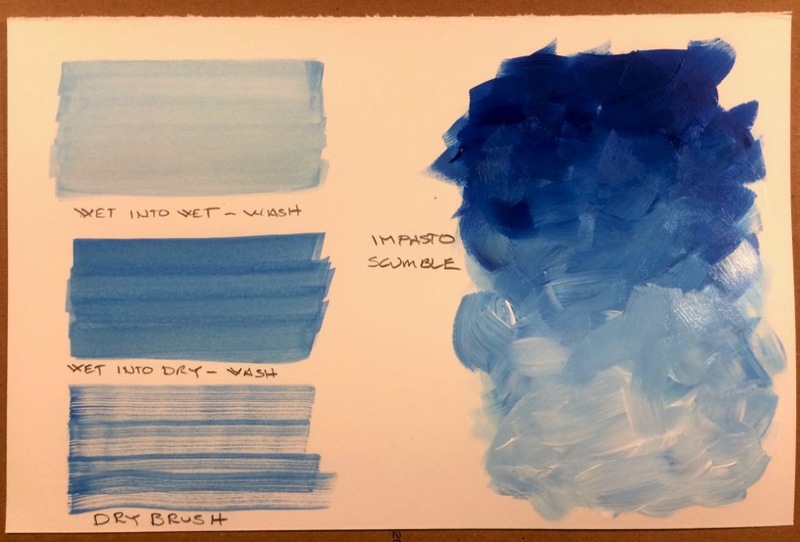 This is an example of an actual wash/ scumble/ dry brush assignment. I took this photo under yask lamps; the colors are a bit yellowed, but you get the idea. Do lots of practicing before you make the final painting. The Scumble, in particular, will take some practice. The presentation is on a half sheet of Bristol—7" x 11".